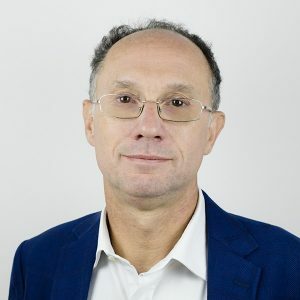 Pietro Teatini holds a degree in Civil Engineering in 1991 with honors, and is currently a technical researcher at the Dept. of Civil, Environmental and Architectural Engineering of the University of Padova and Associate Researcher at the Institute of Marine Sciences, National Research Council. He is member of the Steering Team “Regional Sea Level Change and Coastal Impacts” of the World Climate Research Programme and visiting professor at the Key Laboratory of Earth Fissures Geological Disaster, Ministry of Land and Resources of China, Nanjing (from 2014 to 2019) and at the Key Laboratory of Land Subsidence Monitoring and Prevention, Ministry of Land and Resources of China, Shanghai (from 2017 to 2022). In 1994 he won the International Award “Paolo Gatto” of the “Accademia Nazionale dei Lincei”, for the modeling of the aquifer system underlying the Venice Lagoon and he is a vice-chiar of UNESCO Working Group on Land Subsidence. His main research interests are related to the development and application of finite element models for the simulation of flow in confined aquifers, natural and anthropogenic subsidence due to fluid extraction from aquiifers/reservoirs, and geomechanical issues (e.g., caproch integrity, fault re-activation, induced seismicity) related to fuid injection into the subsurface. He has participated as PI and component of the research team in several research projects funded by various institutions such as EU, UNESCO, European Space Agency, German Space Agency, National Research Council, Italian Ministry of the Environment, Italian Ministry of Research, Eni E&P, ENEL, Snamprogetti, Water Authority of Venice, Co.Ri.La., University of Padva. He participated in international exchange of researchers with the Chinese Academy of Sciences, CONICET (Argentina), UNAM (Mexico). He is author and co-author of more than 200 scientific articles in international journals and international conferences proceedings.